LifeSpan Treadmill Review by Industry Experts! I was recently in Salt Lake City and visited the LifeSpan headquarters. 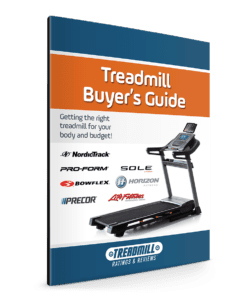 LifeSpan treadmills have been getting some impressive reviews and ratings. And that appears to be driving their sales,as it should. LifeSpan is an up and coming player that is carving out a niche for itself among established brands. Their machines seem to find a nice balance between quality construction,appealing design and attractive features. And their market share will probably expand at the expense of manufacturers that are resting on past laurels. Now I haven’t tried all their models, there are 9, but the ones I did test seem to have a solid feel and ran very smoothly and quietly. In addition, the feedback I’ve gotten suggests the machines are very durable. Their models start with a small compact treadmill and progress to commercial grade models for the home. Prices range from $700 – $3,500. Few companies have such a wide selection. Within their line-up are some gems and some rough cuts. In particular, the LifeSpan TR4000i is the model that seem to be getting most of the press. They both come with the Fitness Club download feature (See Below). And they have some interesting pre-installed workout programs that are geared for specific fitness goals like weight loss, healthy living and sports training. One of the benefits of owning one of several LifeSpan treadmills (TR1200i, TR4000i) is a free membership to their Fitness Club. Wither through Wi-Fi or a USB port you can transfer your stats from your treadmill to your personal online account and track your progress. Not only can you track your progress, the app will set goals, create a customized exercise plan, and compare progress to their goals. In the last couple of years treadmill desks have become very popular. They allow you to walk on a treadmill while you conduct work on an attached desk. LifeSpan, by far, builds the best treadmill desks in the industry. They offer both complete treadmills with desks and also just the base where you provide your own desk. Check out the LifeSpan TR1200-DT5 review. 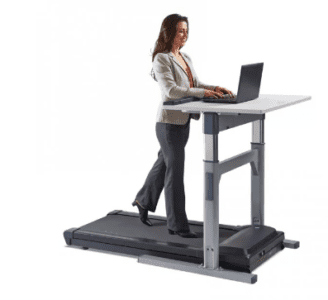 In addition they sell a variety of treadmill desk configurations. So you can either buy a treadmill desk like the image above, or you can purchase a deck and add one of several desk layouts. For example, you can get a dual desk where one side sits on top of the treadmill deck and the other can be used as a typical sitdown desk. Regarding the various best buy ratings LifeSpan boasts. A couple come from some credible sources, including one from Health Magazine. Health Magazine rated the LifeSpan TR4000i treadmill a “Recommended Buy”. What they appear to like the most was the Interactive Fitness Club Feature. Although they were also impressed with the quality of the machine. Another “Best Buy” comes from Consumer Guide. This rating is questionable since they often do not test the products. Also the LifeSpan TR1200i and TR2000 received some very average ratings from a leading consumer magazine, whose name I cannot mention. In particular, the LifeSpan TR1200i received “Very Good” ratings in all categories. It should be noted that the customer ratings on Amazon are between 4.5 and 5 stars, which is impressive. LifeSpan has the potential to be a serious player in the $1,000 – $2,000 price range. Their equipment appears to be durable, there’s some thought behind the designs, and features like the Fitness Club could be very appealing. This is exactly what many users to need to get the motivation to actually use their treadmills. I like the compact design of the TR2000, it has good cushioning and was fairly quiet. The TR3000i is intriguing with the ability to interact with a online web site. The “commercial grade” residential models seem to be a bit pricey for what you get.